Gopher problems can range in severity between mild, moderate and severe. 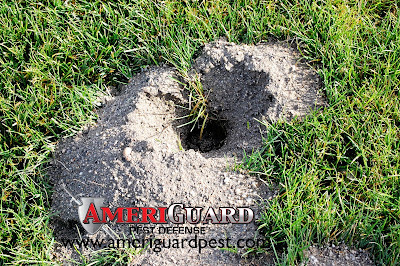 In some instances, a gopher inspection is recommended before AmeriGuard Pest Defense can provide a gopher control quote. 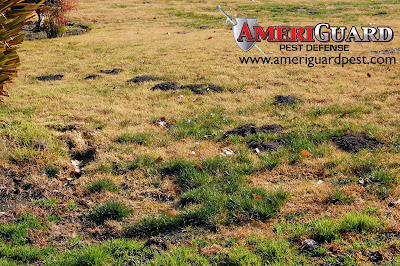 In these examples, an ongoing gopher problem had infested this landscaped area for awhile. 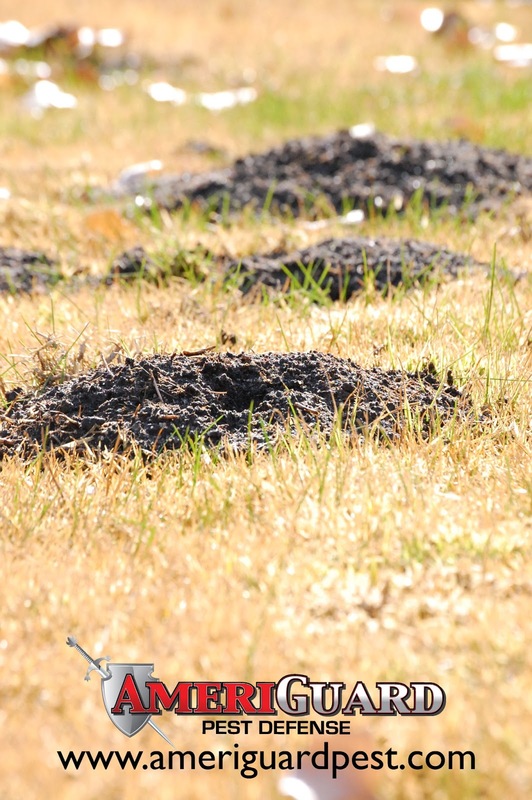 The nearby fields have been supplying these yards with a constant supply of gophers and combined with the recent rainfall, the irrigated lawn provided the optimum condition for gophers to dig…and dig…and dig some more. As we walked this property, our licensed Agricultural Specialist noted the range of gopher activity and differentiated the older gopher activity from the freshest and newest gopher mounds. 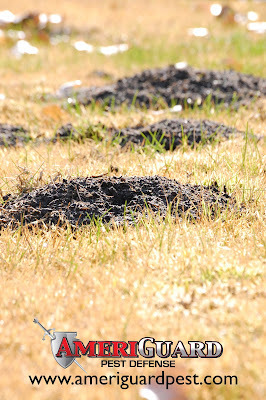 Gophers create fan-shaped mounds from lateral tunnels. 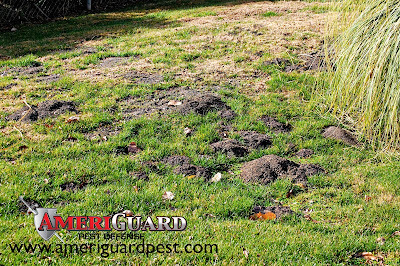 A severe gopher problem can have mounds that range in shape and size. 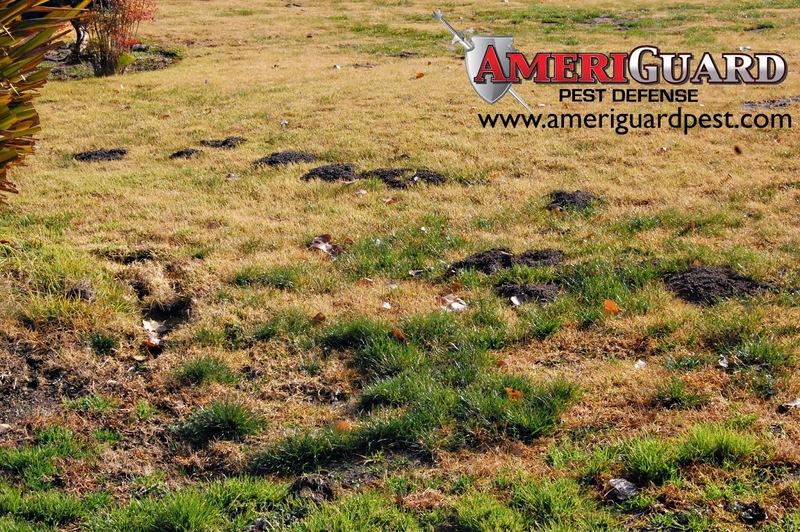 A single gopher can push up 1-3 mounds per day. The severity and location of this particular property made it a perfect candidate for the Rodenator service. The Rodenator service was the recommended method of gopher treatment for the initial gopher service to achieve a quick knockdown of the existing gopher population and to destroy and collapse all existing gopher tunnel systems. Once this service is completed, ongoing maintenance will be necessary to ensure that the population does not grow this large again. Due to the neighboring fields, monthly maintenance is advised. 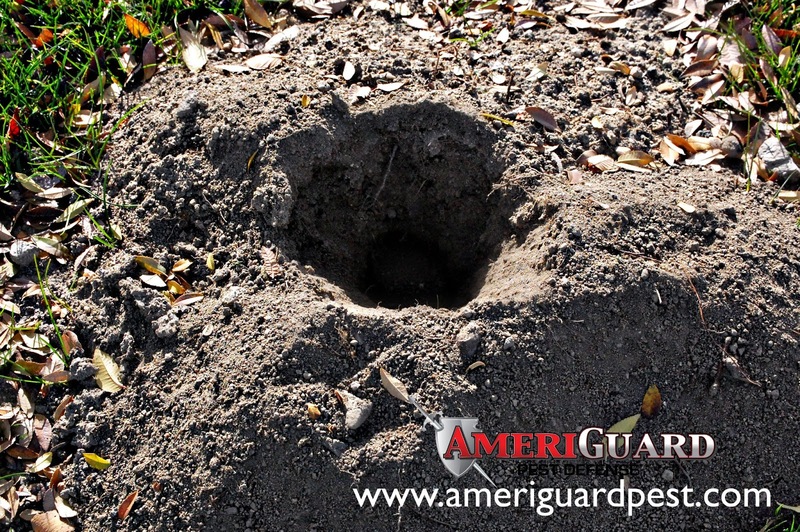 Most residential customers with gopher problems can be quoted over the phone by calling (951) 652-0505. 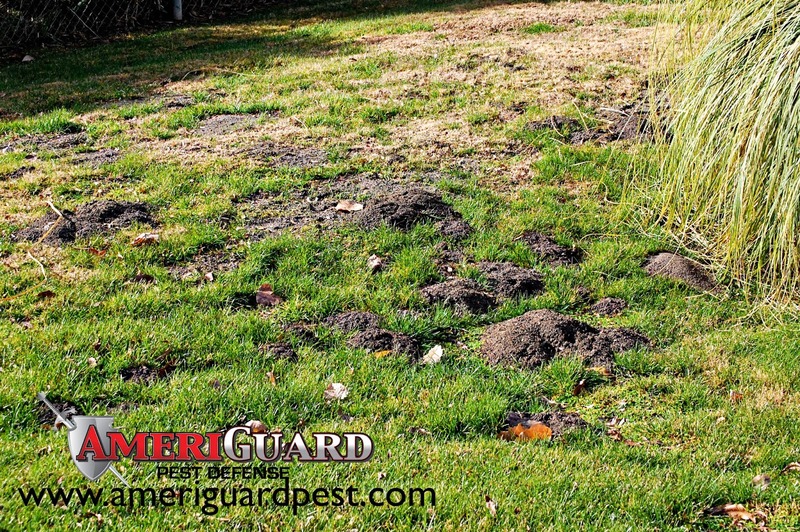 Let AmeriGuard solve your gopher problem today – we proudly service the following cities within Southwest Riverside county: Banning, Beaumont, Canyon Lake, Cherry Valley, French Valley, Hemet, Lake Elsinore, Menifee, Moreno Valley, Murrieta, Nuevo, Perris, Quail Valley, Riverside, San Jacinto, Sun City, Temecula, Wildomar, Winchester and Woodcrest.